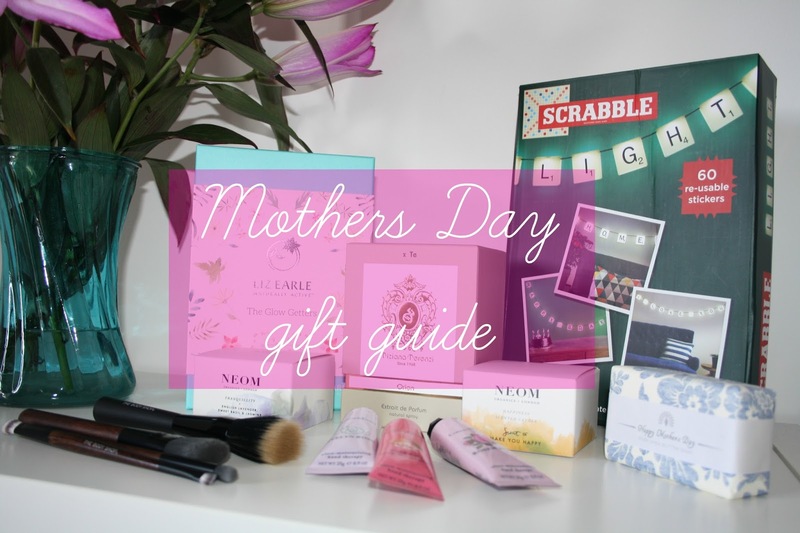 With Mothers Day just around the corner I thought today i'd share some Mothers Day gift ideas! I don't know about you but my mom is pretty amazing, and I always go a little over the top when Mothers Day arrives. Here's some really cool gift ideas that you can get your mom this year. How gorgeous are these Ted Baker Rose Gold Earrings *from Amara. I think they are stunning and would make the perfect gift for Mothers Day, They come with a little pouch and a Ted Baker Gift box which makes it look really special and they are only £25 which I think is a great price. This Scarf from Joules * also available at Amara is just gorgeous, it's so so soft and the colours are lovely. It's a really lovely scarf, my mom loves a good scarf and these are perfect for this transitional period between winter and spring where its a bit chilly outside so you want a thin scarf just to keep the cold out. You really can't go wrong with flowers, whether you pick some up from the local supermarket or have them delivered from a florist they can make a wonderful gift. My mom loves Lillies they are her favourite and purple is her favourite colour so these are perfect. My mom has recently started using make up brushes and has been quizzing myself and my sister on how we apply our make up so some new make up brushes would be the perfect gift this mothers day. These Body Shop* ones are so lovely. The bristles are so lovely and soft and they are so easy to use. They look great and are really affordable too. I've also included a couple of other brushes below. I really like the Look Good Feel Better Brushes and this blusher brush* looks amazing. The bristles are so soft and fluffy!! I also thought i'd mention this Soeco stippling brush* as I really like the Soeco brushes they look fab, i've recently spotted them in my local Bodycare and they are really good value for money. Why not get your mom some new skincare bits. I love Liz Earle and use their skincare everyday and I know my mom would love to add some Liz Earle bits to her routine. This is the Liz Earle Glow Getters collection. * For £29 you get the Hot Cloth Cleanser ( MY FAVE) and a gentle face exfoliator and a deep cleansing mask along with 2 Pure Cotton cloths. It's such a good price and comes in this gorgeous gift box which is designed by Jessica Tibbits. How cute is this Mothers Day soap from The English Soap Company*, it's a really lovely gift. It smells so so good!! How cute is this gift set from The Pretty Little Treat Company. This is their Pretty Little Treasures Gift set *which contains really cute little products such as an Eye Gel, a Lip Balm, a Hand Cream and bath milk. The gift box is so pretty and the packging on the products has angels on and Clints mom loves Angels so she's going to be so excited to recieve this on Mothers Day. If your looking for something a little more on the pricey side you could treat your mom to a bottle of perfume, this Tiziana Terenzi Fragrance * is avaliable at Harvey Nichols and is a woody, spicy oriental scent. It's really strong and has top notes of Bergamot and Red Currant. The bottle and the packaging is gorgeous and so luxurious and would make a lovely addition to any moms dressing table. You really can't go wrong with a scented candle and my favourites are the Neom Travel Size candles. I love Tranquility and Happiness, they are my favourite scents. They retail for about £16 and smell amazing! How cool is this Scrabble Light from Red Candy*! You use the stickers to spell out different words, they would be so much fun especially to personalise for different occasions. They light up from the mains and the stickers are reusable so you can change them all the time to say different things. I think these would be amazing in a nursery or kids room aswell as in a main room. I hope you enjoyed my Gift Guide and I gave you some inspiration for Mothers Day. Even if you can't afford to buy your mom something get her a card and show her that you are thankful for everything she does for you.